Portland Oregon Commercial Building Property Inspection Inspectors. Our Inspectors are "ASHI, OCHI, EPA & ICC" CERTIFIED to provide highest quality inspection property services. Our Inspectors are licensed, bonded, insured with over 30 years experience. Our reports include recommendations on repairs, end of life on building materials, probable causes of damage. Buyers / investors need a professional, knowledgeable and experience company to look out for their best interest. I have personally spent over 35 years in the construction trades. 20 of those years as a licensed general contractor, 10 years in building science. I have literally implemented engineered retrofit buildings to reduce energy consumption by 33% and improved the infrastructure to maintain efficiency health & safety. This involves inspecting to construction of the building envelop top to bottom. From my perspective when visually inspecting buildings exceeds the standard requirements. I spent most of my time as a laborer & business owner to develop the skills as a building inspector. Building Analyst Group Inc, does more than building inspections. We cover indoor air quality, HVAC-R equipment, restaurant equipment and much more. Exterior: soil erosion, parking, lighting, most importantly ADA-”American Disabilities Act”, compliance for our disabled should be included. Foundation slab & stem wall, roofing material / roofing truss system upper & lower timbers, bearing loads - wind loads - snow loads, cladding - siding, structural framing. Is your building ready for a earthquake? With new laws in effect the exchange of ownership may surprise you! The roofing structure and framing of each building is of the most importance, main supports are sometimes overlooked by less experienced inspectors. The exterior grounds surrounding the building has a large impact on the foundation. Hydrostatic pressures or faulty poor workmanship will cause failure. Commercial buildings are engineered & built different when compared to residential, you need a qualified experienced company. Interior: electrical, plumbing, flooring, mold, dry rot are part of our inspection process. We also will test mechanical, HVAC-R equipment, boilers, HWH “hot water heaters”gas fired equipment, test paint and drinking water for lead on request. Radon testing is something we also conduct utilizing electronic equipment, sewer pipe scope inspection when needed. Windows, doors, glazing areas, insulation & ventilation all contribute to air leakage and higher energy bills. These areas should be inspected and noted on the report. Most building failures or issues will surface long after the warranty has expired. Inspecting new buildings are as important as existing buildings TEN years old or older. We check the air flow from each supply duct & measure the temperature. Some supply ducts may have to much or to little air flow. We then test the return air flow. Once this is completed we test the building pressures to find out how high or low the pressures are. 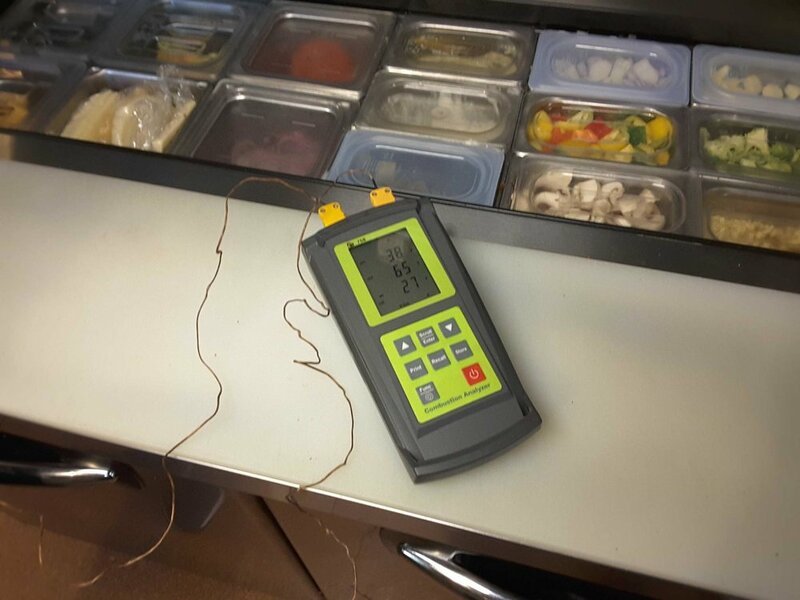 We inspect commercial kitchen equipment and test to verify in good working condition. Taking a building pressure test reading helps identify the positive or negative pressures in your building. By doing so helps in the diagnostic testing for air leakage “efficiency” and potential hazards of back drafting of gas fired equipment. Utilizing a manometer will help us determine the air flow in air handlers. Why is taking a building pressure reading important? By doing so we can determine high positive or negative pressures. We can also determine air leakage, duct leakage, back drafting issues of gas fired equipment or fireplaces. We test walkin, reachin refrigeration equipment to verify temperatures. We test and inspect commercial gas ovens for proper working condition. Being certified to operate a thermal camera is important. Most inspectors are not certified. We inspect electrical panels for several reasons. We look for over heating wiring, double tapping, splices, etc. Taking amp draws on electrical equipment will tell us if your electrical device is near end of life, over drawing electrical current or if the equipment is within specifications. It has become common to have your sewer line between your home and city services inspected. By locating a break or deficiencies before purchasing a home or business may save you thousands of dollars later. We utilize thermal imaging for many different reasons. We can determine the heat load of the bearings and shaft on electrical motors. We also look for roof leaks on large commercial buildings. Conditions have to me just right in order to locate these leaks. 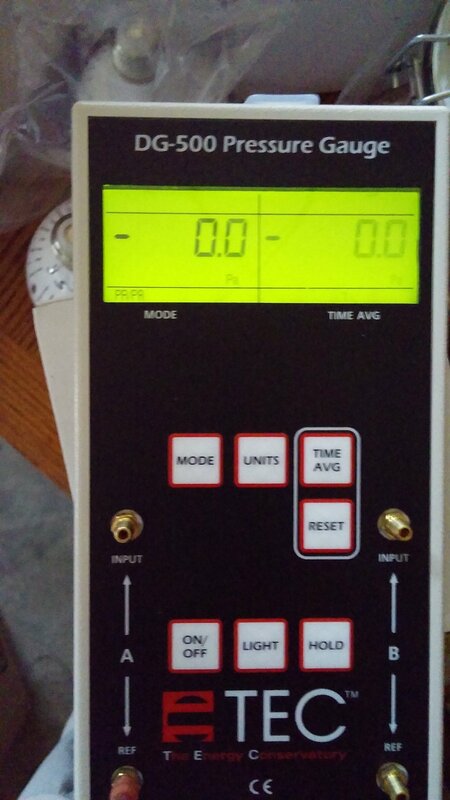 We use electronic top of the line equipment to test radon. In 48 hours the test is complete. We test indoor air for formaldehyde. Formaldehyde causes health concerns and even cancer. By testing a buildings pressures we are able to determine which side of the duct system leaks than the other. We can determine if you are wasting energy. And we can tell if CO is being pulled back through the flues on gas fired equipment.